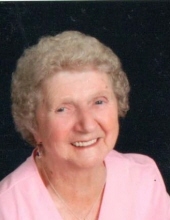 Margaret Ellen Clabaugh, age 87, of Thurmont, died unexpectedly Saturday, February 2, 2019 at Frederick Memorial Hospital. Born February 15, 1931 in Frederick County, she was the daughter of the late Lester Leroy and Anna L. Eury Curfman. She was the wife of Paul Vernon Clabaugh who died in 1990. Margaret was a member of Linganore United Methodist Church and attended Trinity United Church of Christ in Thurmont where she volunteered in the church kitchen. She was employed at Claire Frock for 25 years until its closing. She enjoyed puzzles, coloring, reading, gardening, canning and watching Wheel of Fortune and Jeopardy on television. Surviving are children, Linda Green and husband Bob and Robert E. Clabaugh and wife Bonnie, all of Thurmont, Gloria Ogden and William Northcraft of Hagerstown, Donald L. Clabaugh and wife Lorrie of Fairfield, PA, Pam Kendall and husband Moe of Gettysburg, PA and Diana Mehaffie and husband Keith of Smithsburg; 10 grandchildren, Jason, Alicia, Christopher, Heather, Amanda, Shawn, Melissa, Brittany, Keith Jr. and Danielle; 12 great grandchildren; 1 great great granddaughter and 4 great great great grandchildren and several nieces and nephews. She was predeceased by a sister, Mary Shriner. The family extends a special thank you and deep gratitude to John and Karen Kinnaird for all of their love and support to Margaret. A funeral service will be held at 1:00 p.m. Friday, February 8 at Hartzler Funeral Home, 404 S. Main St., Woodsboro, with Rev. Sean Delawder, pastor of Trinity U.C.C., officiating. Interment will follow in Linganore Cemetery, Unionville. The family will receive friends at the funeral home 2-4 and 6-8 p.m. Thursday, February 7. Memorial contributions may be made to Trinity U.C.C., 101 E. Main St., Thurmont, MD 21788. To send flowers or a remembrance gift to the family of Margaret Ellen Clabaugh, please visit our Tribute Store. "Email Address" would like to share the life celebration of Margaret Ellen Clabaugh. Click on the "link" to go to share a favorite memory or leave a condolence message for the family.